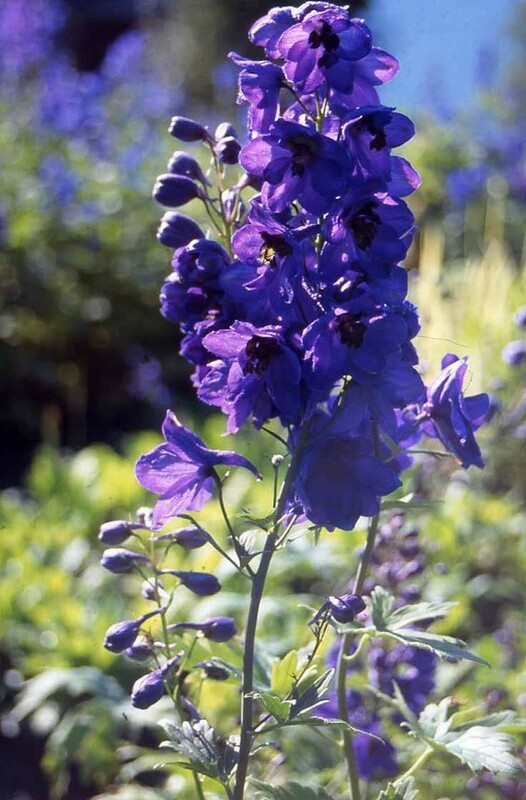 Majestic spires of semi-double, deep purple flowers with black eyes in June and July. 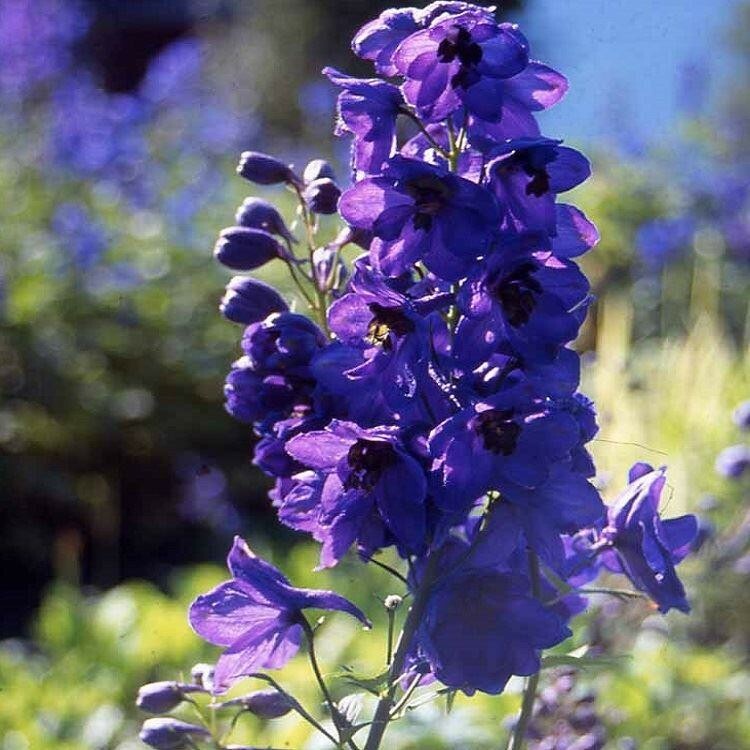 These dark-eyed delphiniums look great planted in bold clumps towards the back of a well-drained, sunny border. 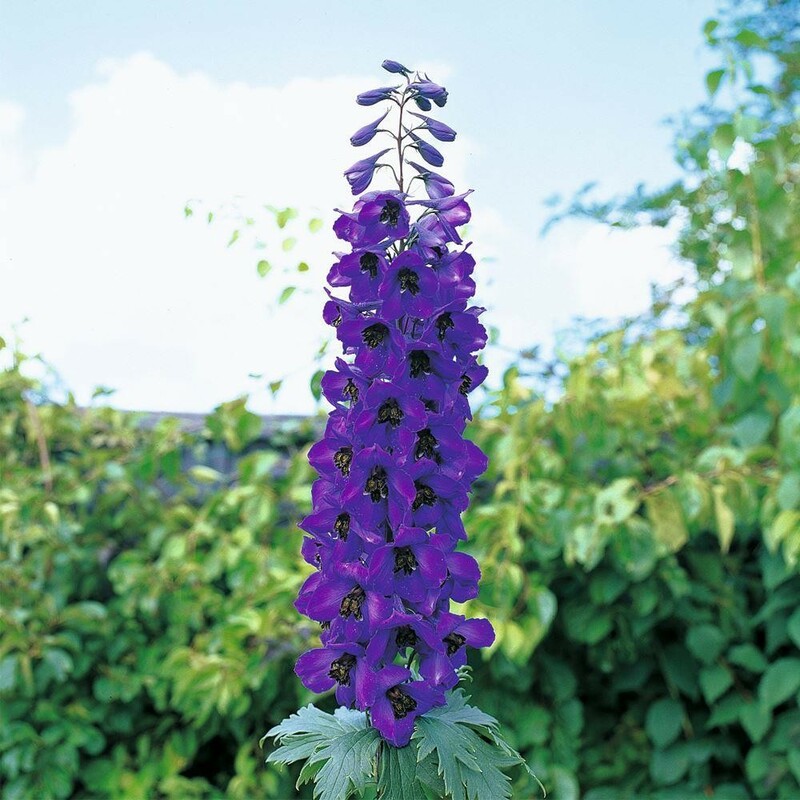 For the best results protect the young foliage against slug-damage in spring and stake the slender stems well before the flowers appear. Supplied in 1 litre containers.